At HealthLytix, we are developing innovative quantitative medical imaging and genetic risk assessment solutions for a number of diseases. Our goal is to enable proactive and preventative healthcare through actionable health intelligence. 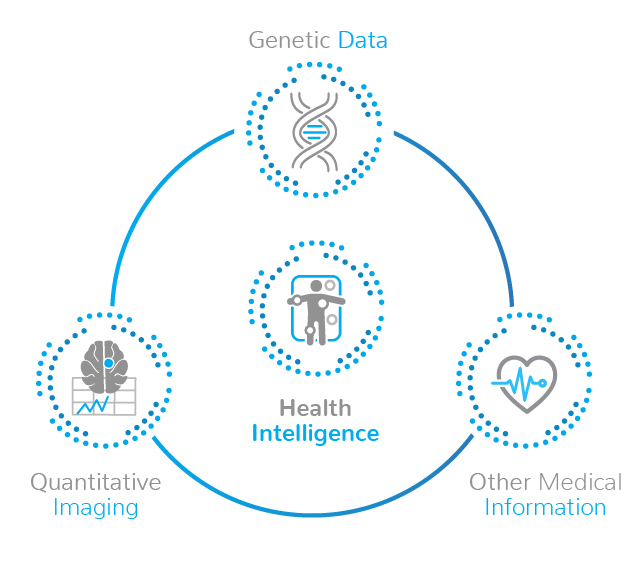 Our proprietary algorithms apply machine learning to quantitative imaging, genetics, and other medical information to provide personalized health intelligence insights. This automated radiology workflow solution will improve efficiency and accuracy when reading emergency head CT exams, facilitating faster and better delivery of care to the patient. Please join our mailing list for news and updates on our precision health solutions!